Agartala, Mar 4 : The central government tribunal has started its hearing in Agartala on Monday to scrutiny legal locus standi over decision of the union government to declare two extremist groups unlawful. The proceedings chaired by Delhi Court Judge Justice Veena Birbal would continue till Wednesday before delivering a judgment. 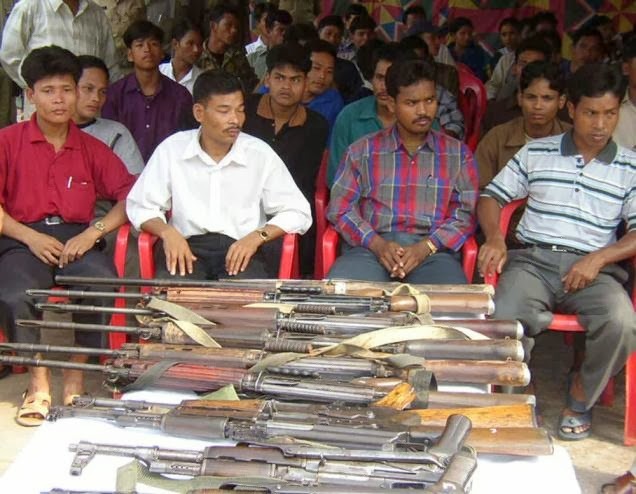 The union government declared National Liberation Front of Tripura (NLFT) and the All Tripura Tiger Force (ATTF) outlawed under unlawful activities (prevention) act almost 15 years ago and renews the ban every year. The state police officials earlier said the ATTF has completely lost its strength to carry on subversive activities following arrest of its chief Ranjit Debbarma and NLFT also lost its ground except some pockets in state's Dhalai district. However, the CPI(M) led Left Front government is in favour of continuation of the ban order till the extremist groups are completely wiped out. The extremists had taken lives of thousands, kidnapped huge no. of people and displaced a few lakhs in two decade-long insurgency in the state which often triggered bloody strife between tribal and non-tribal communities. Justice Ms Birbal and 12 other officials including Additional Solicitor General Rajiva Mehra and union government standing counsel Sumit Pushkaran arrived and joined in the first hearing at Tripura state guest house in the afternoon. Tripura government appointed lawyer Gopal Sinha also came from Delhi to represent state in tribunal. Senior police officials and some witnesses deposed before the tribunal which had issued notices to all concerned parties in November last year to submit representation in person or through representative. However NLFT and ATTF are unlikely to be represented in the hearings.